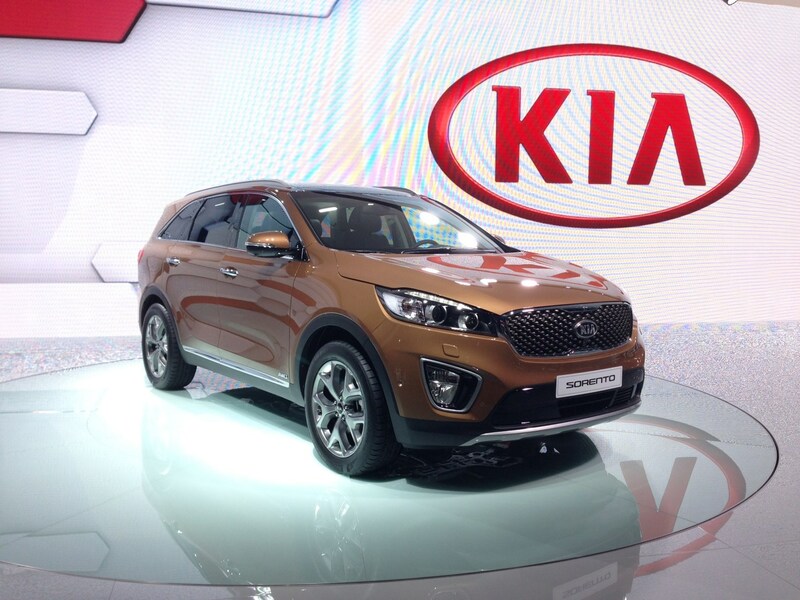 The biggest news for Kia at the Paris Motor Show was the introduction of an all-new Sorento 4x4. Available in the UK in seven-seat configuration only, the new car has had a full interior redesign for a fresher, more modern look. The whole car is lower, wider and longer than the previous version, so we’d assume that means a bigger cabin too. The boot has grown from 515 to 600 litres in capacity. Kia is promising improved levels of Noise, Vibration and Harshness (NVH) in an effort to make the Sorento a more premium model. In the UK we will get just the one engine – a 2.2-litre diesel – when the car is launched. The firm promises a new steering system with better feedback along with a revised chassis for better ride and handling. To find out more about the new Kia Sorento, click here. 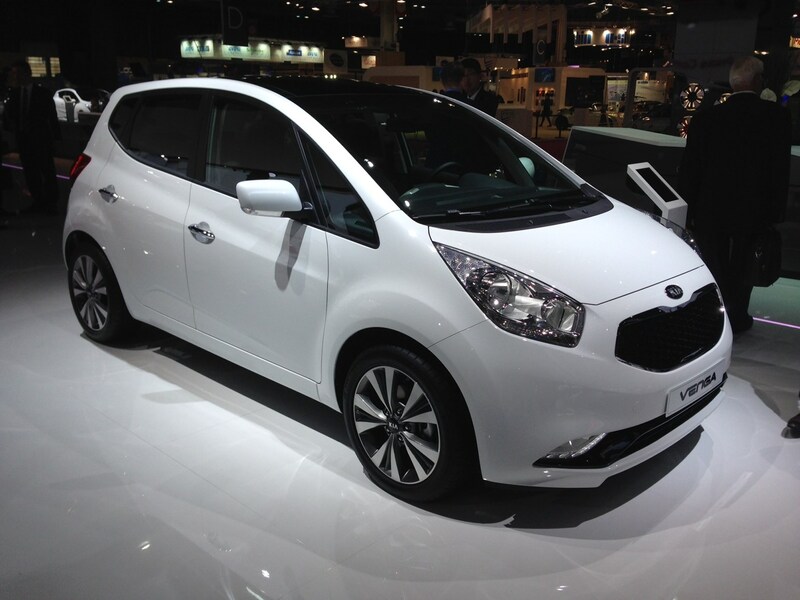 Another car causing a stir was the Venga, which has been given a facelift for its fifth year in production. There’s a new look for both front and rear bumpers along with a refreshed interior and a range of six engines and CO2 emissions as low as 114g/km. The Venga facelift goes on sale in early 2015. 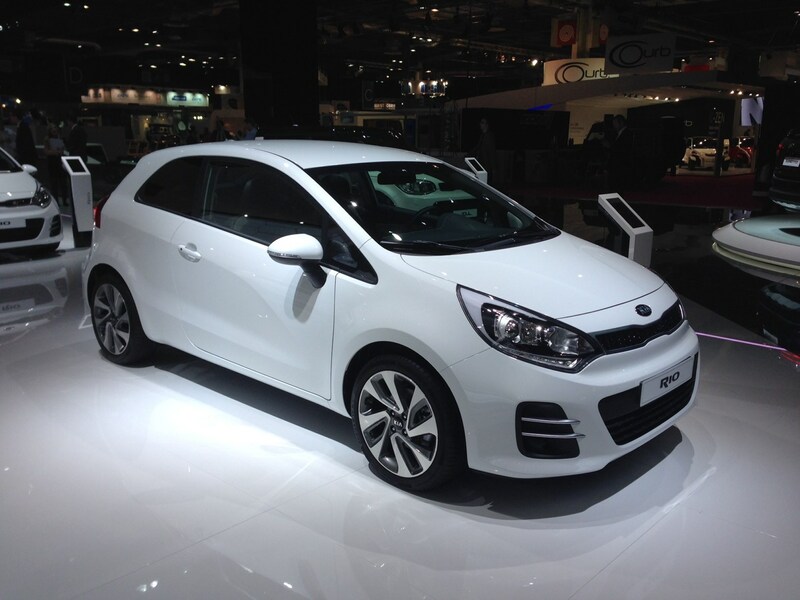 The second Kia facelift on the Korean firm’s stand was for the Rio – the firm’s top-selling car worldwide in 2013. There’s a reinterpretation of the Kia family face up front along with a revised front bumper, headlights, rear bumper and three new alloy wheel designs. A pair of new paint finishes and some interior tweaks are the other big tweaks, while a new range of optional extras is available including DAB digital radio and a quicker version of the firm’s sat-nav system. 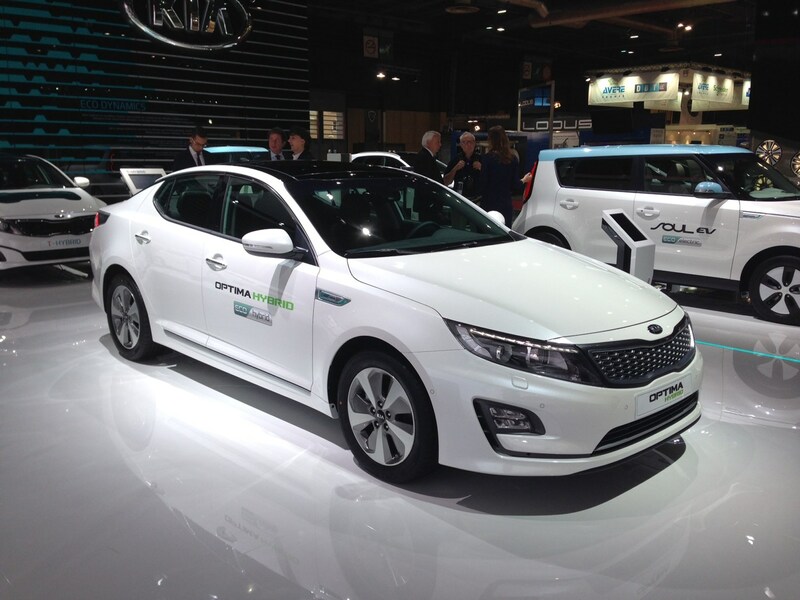 Finally, the Optima T-Hybrid is a case study on a diesel/electric hybrid powertrain it’s possible we may see in future Kias. It uses the 1.7-litre diesel in the current Optima but with significant modifications including an electric supercharger and a 48-volt lead-carbon battery. It hasn’t been confirmed for production, but it’s interesting to see the direction Kia would go with such a project.